Neo-Metro draws from the experience of its parent company, Acorn Engineering Company, a renowned producer of stainless steel plumbing fixtures, to sculpt luxury bath furnishings out of 80% recycled stainless steel. With its durable functionality and contemporary look, stainless steel outlasts other materials and never goes out of style. Picture a hotel or restaurant bathroom with a custom basin, manufactured from recycled material such as stainless steel, and discreetly fitted with a tankless water heater and the most efficient water-saving engineering possible. 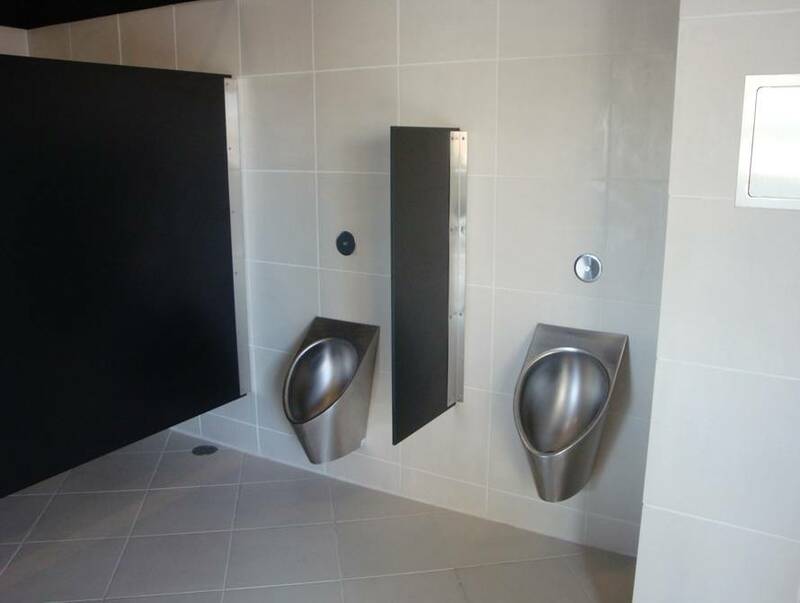 Add in a low-flow or dual flush toilet in addition to a pint-flow urinal. All of these water and energy saving fixtures are possible from Neo-Metro, complete with a variety of finishes and powder-coated colors to choose from and customize. Because we research, design and manufacture our own products in North America, customers have the benefit of going to one supplier to get the job done. Further, a majority of Neo-Metro products earn LEED points for new buildings and offer significant reductions in cost and energy use for new or existing properties. In this way, Neo-Metro supports a "whole building" approach to commercial sustainability by offering integrated products and solutions to a green building's many challenges. 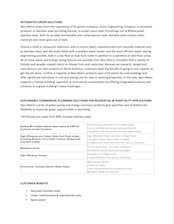 Neo-Metro's series of water-saving and energy-conscious products give specifiers and architects the flexibility to maximize greening opportunities in plumbing. 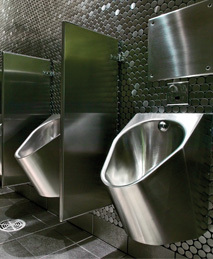 *All fixtures made from 80% recycled stainless steel. Neo-Metro's System M2 multiple-station wash basins offer a highly-customizable platform for the optimal level of function, sustainability and water savings. 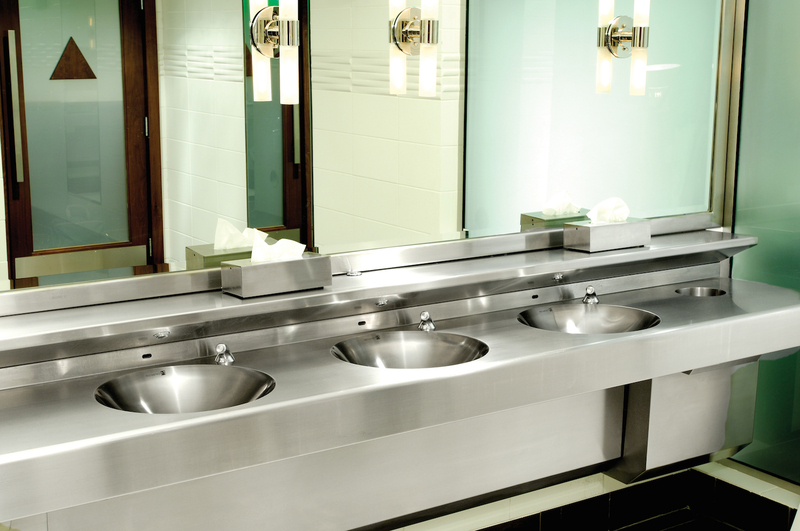 Units require only one plumbing connection to provide hand washing stations in multiple basin configurations or wash stations. The result: lower installation and maintenance costs. Basins are optionally outfitted with push button metering valves, sensor-activated fixtures and a tankless water heater for quick, easy hand washing with minimal water use. 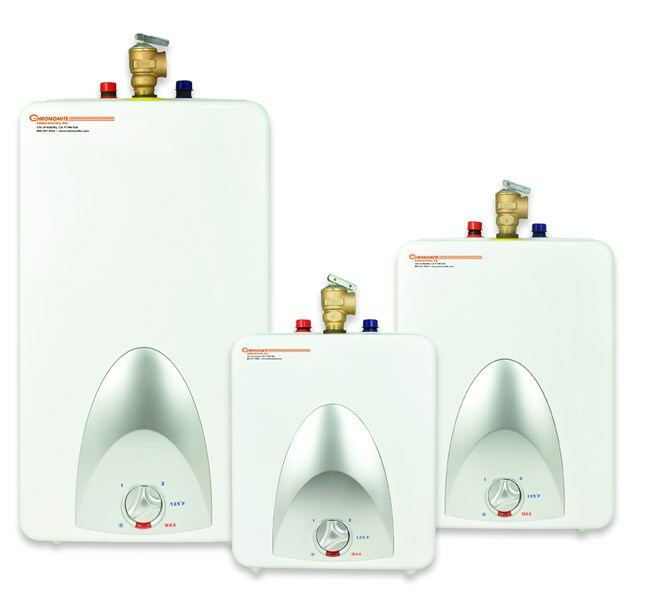 Made from a recycled stainless steel material base, units provide years of trouble-free service with an engineered and manufactured valve design that has been in use for over 50 years. 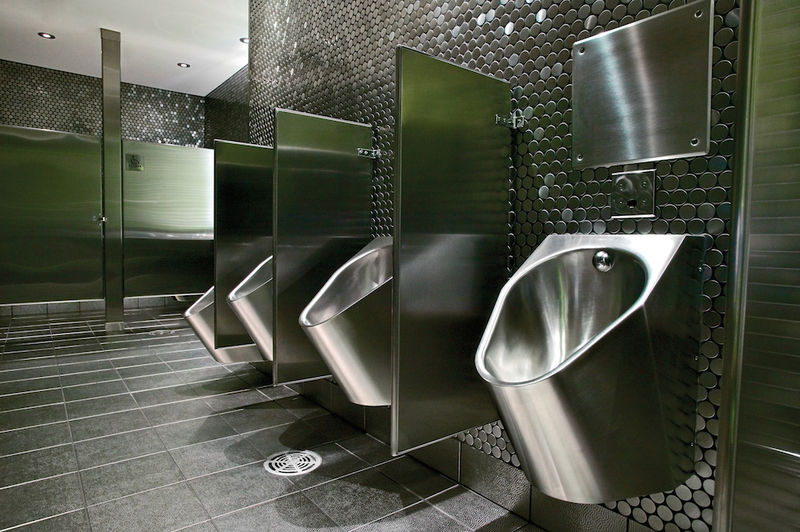 Neo-Metro's stainless steel toilets have an industrialized modern appeal. With their clean, utilitarian form and strength, 80%recycled stainless steel fixtures will outlast other fixtures and never go out of style. Neo-Metro toilets are compatible with a variety of water-saving flush valves, no special tools or adaptation required. 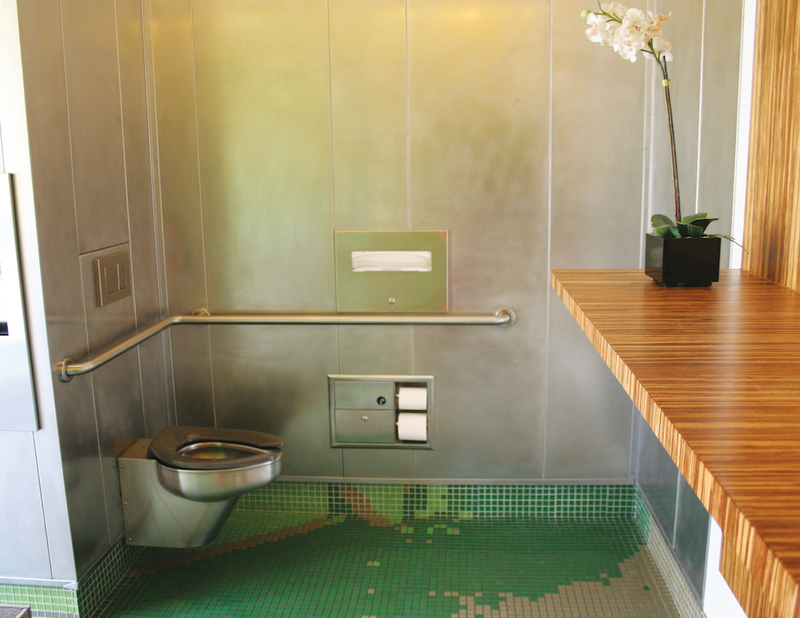 A 1.28-gpf High Efficiency Toilet from Neo-Metro is easily integrated into a building's plans for water conservation. 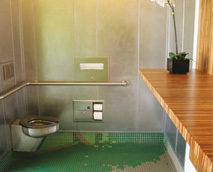 Additionally, many feature an In-Wall Cistern Style System, which minimizes water savings by allowing users to select either 1.6 or 0.8-gallons, for an average of 1.2 gallons per flush. 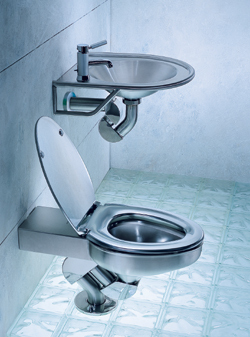 The miniLOO®, Euro-Urban Contour, and Metaal toilets from Neo-Metro all feature this dual flush system. In addition, all contribute to a building's overall water use reduction and can earn LEED points in sections WE C3.1 and C3.2 for 20-30%savings. 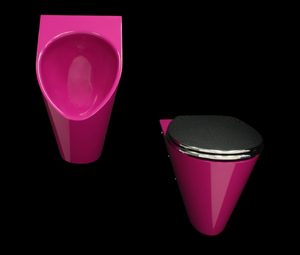 Neo Metro's water efficient Pint Urinal works usefully with only a single pint of water required to flush and rinse the bowl, furthering Neo-Metro's commitment to being green. 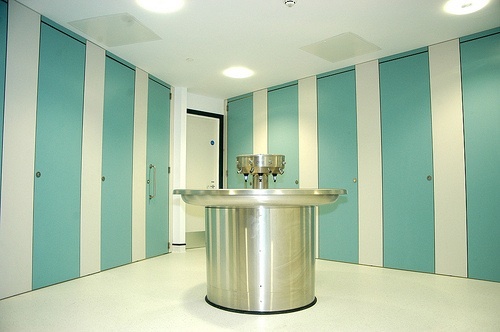 The durable stainless steel product is wall mounted and can be installed to meet ADA requirements. Units also come in satin or high-polish finish, and an Enviro-Glaze powder coating can be color-matched to a variety of sophisticated hues. And like so many other green offerings from Acorn, this system is third-party certified as eco-friendly, earning LEED points for water savings which work towards achieving US Green Building certification. 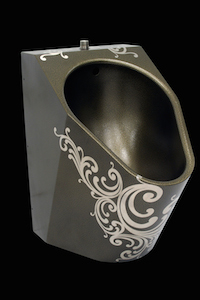 The new High Efficiency Urinal is similar in design to the pint urinal, with its sleek industrial-chic simplicity. Featuring a low-flow flush valve, this unit utilizes a 0.125 Pint Flow rate and also works efficiently with AcornVac's half-gallon flush. 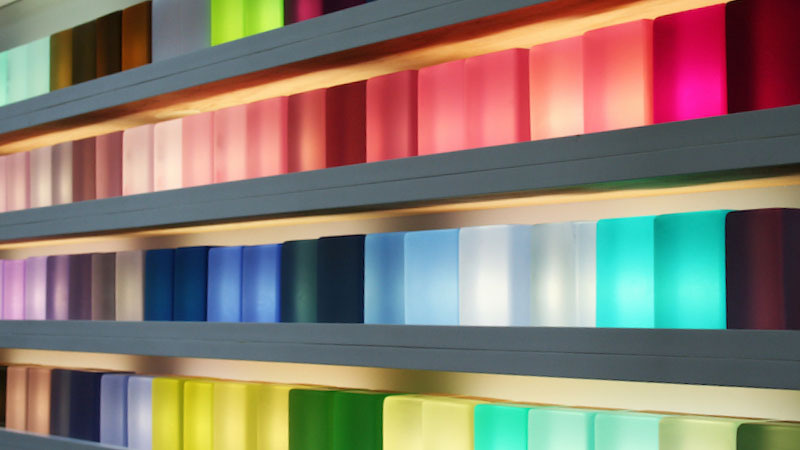 Neo-Metro’s cast BIO-resin products are an attractive and eco-friendly alternative to traditional fixture materials. BIO-resin is an unsaturated solid surface polymer resin that can be cast into any shape and size in order to fit and adjoin to any existing surfaces. All BIO-resin products are crafted with a minimum of 15% post-consumer recycled material that contributes to LEED points, further expanding Neo-Metro’s dedication to the environment.